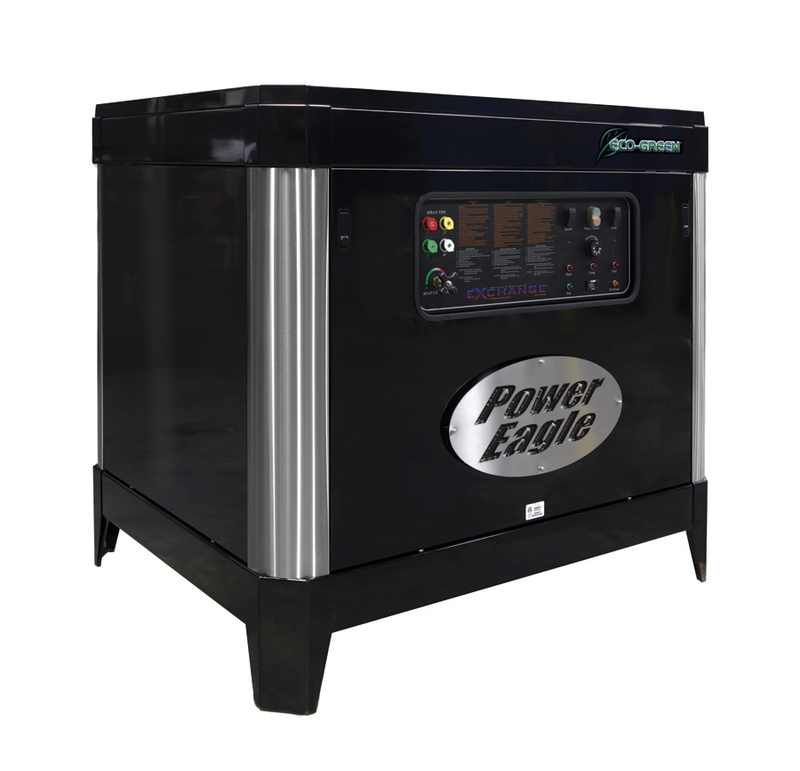 Power Eagle HS Series units are truly revolutionary in several ways. These stationary, propane, or natural gas fired machines heat water with 98% efficiency and use up to 50% less fuel. Additionally, HS Series units are far less costly to install in your building compared to traditional gas fired machines. Venting can be done in 4” CPVC pipe directly through an external wall. Vertical metal chimney is not required. HS1 models utilize one heat chamber, one water pump, and a single set of controls with up to 6 GPM flow. These are ideal for single gun operation. HS2 models utilize dual heat chambers allowing for higher flow rates between 6 – 12 GPM. 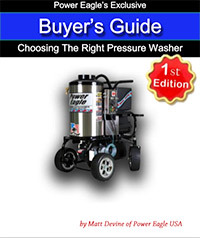 This high flow is provided by a dual pump system and is operated by a single set of controls. These units are ideal for high flow, single gun operations or multi nozzle spray manifold setups where flow rates are constant. HS3 models utilize dual heat chambers, dual pump systems and have two independent sets of controls. Each control set operates a pump via clutch-drive. The HS3 models provide the benefits of two totally independent pressure washers driven off a single motor and on one chassis. HS3 models are ideal for true independent two gun operation.